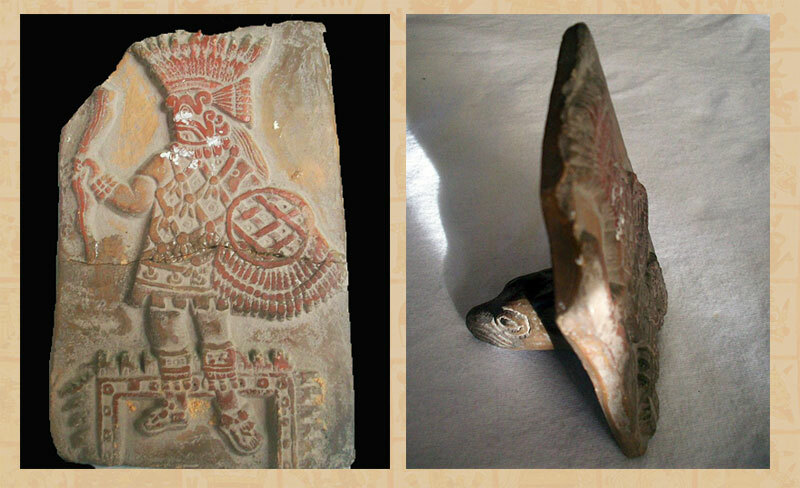 Gerardo Jacuindes writes: here are some pictures I took of the clay stamp my father has. We live in Northern California, my father said it was sent to him by one of his sisters who resides in Mexico city, Mexico. It is cracked horizontal down the middle, that is because one of my younger siblings dropped it a while back but it was pasted back together when it cracked. See if you can determine just by the photos whether its a replica or original. My dad Gerardo Sr thinks its original.